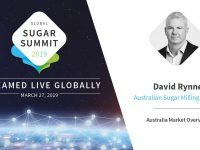 On 27 March 2019, David Rynne, Director of Economics, Policy and Trade at the Australian Sugar Milling Council (ASMC) gave a presentation that was streamed live to a global audience. Mr Rynne highlighted the challenges the Australian sugar sector is addressing to avoid being left behind by its competitors. ASMC believes that an Industry-Government Strategic Plan is needed to ensure the domestic industry makes full use of all Australia’s competitive strengths.